Segura can be seen in the Paramount feature Instant Family, opposite Mark Wahlberg and Rose Byrne. 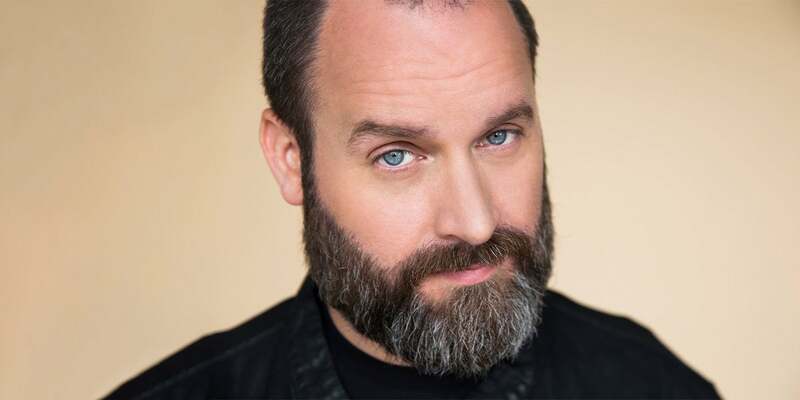 His television credits include The Late Show with Stephen Colbert, Conan, Workaholics, Happy Endings, The Late Late Show, Comedy Central Presents: Tom Segura, Mash Up, and How To Be A Grown Up. Segura also continues to perform at the top comedy festivals in the world, including Montreal’s Just For Laughs Comedy Festival, The Melbourne International Comedy Festival, The Comedy Festival - Las Vegas, The South Beach Comedy Festival, and The Hong Kong Comedy Festival. Hold a table at Genevieve's Theater Lounge at the Peace Center. Click here to see a sample menu and make a reservation. The Peace Center is located at 300 South Main Street, Greenville SC, 29601. View the parking lots and garages that are located within walking distance of the venue. The Peace Center is accessible. For the best accessible experience, reserve Patron Assistance services in advance by contacting the Box Office at 864.467.3000. The Peace Center is centrally located in Downtown Greenville. There are many hotels in the vicinity that are within walking or driving distance. For additional information regarding accommodations please call our Box Office at 864.467.3000. There is something for everyone at the Peace Center. From outdoor concerts to Broadway shows, discover something new. NO USAGE OF CELL PHONE/CAMERAS DURING SHOW: Once the show starts, anyone who is caught with his or her cell phone out will be ejected without refund. NO warnings will be given during the performance! Copyright © 2018 Peace Center. All Rights Reserved.